On a Tuesday afternoon, June 26, Gregory Lee “Vinny” Devaney died in his home in Sunny Brae with the women who were his closest loved ones nearby. With his passing, in Arcata, the town he called home most of his life, a shining light went out. Brain cancer took his life. Born August 3, 1955, the son of Gerard and Gladys Devaney, Gregg was raised in Cathedral City, in Coachella Valley east of Los Angeles. An only child, he found adventure wherever he could. After high school, he found work doing odd jobs, among them working at Griffith Observatory, where his chores included polishing the telescopes that reached the skies. At the urging of his mother, he eventually pursued higher education, first taking classes at Los Angeles City College. With an AA credential in hand, he followed friends north to attend a school as far from L.A. as possible, Humboldt State University. While his wanderlust made a cartography degree enticing, the math classes proved a bit demanding, instead he graduated in 1978 with a B.A. in psychology. Gregg opted against the traditional commencement walk, instead he commenced his world travels by making a cardboard sign that said “Rio.” His thumb took him on adventures in Central and South America with Rosalee. Returning to Humboldt County, he took a job with the Center for Community Development based at HSU. For five years, he ran summer recreation programs in rural Humboldt County at places like Ruth Lake, Camp Kimtu and Camp Ravencliff. It perhaps goes without saying, he wasn’t your typical camp counselor. There were many adventures. Another woman came into his life, he met Aldine at Camp Kimtu. The couple would go round the world as they found adventure in India, Azerbaijan and Europe. Somehow they ended up in five star hotels where the fine food inspired a new career. Back in SoHum, he trained with a French chef at the Benbow Inn, then later at all the best Humboldt restaurants, among them Larrupin’, Folie Duce, The Sprouted Seed, Carter House, Silver Lining and City Grill. A job cooking at Spoons at the Arcata Co-op changed his life in a couple of ways. He became a cooperative lifer, working for the North Coast Cooperative for 25 years (including a stint as Spoons manager) and he also found his first wife. While Gregg was crafting tofu sticks and other things for Spoons, the cheese cutting station was nearby. Xan was slicing and wrapping cheese and they talked enough to fall in love. A wild party and a wedding at Camp Kimtu was later followed by two lovely daughters: Nila, born in 1995, and Neroli, in ’97. When she wasn’t busy with the girls, Xan worked as a waitress and eventually found a career as a psychologist. 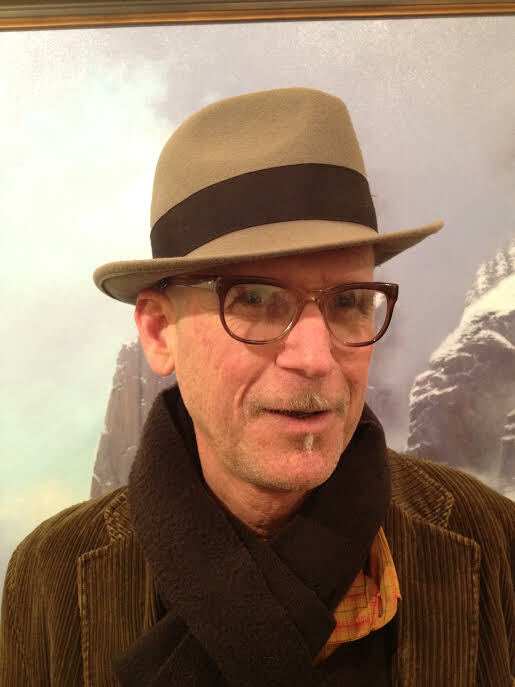 We should note here that Gregg wears many hats, figuratively and literally (often with feathers and flowers in the hatband). Under the auspices of Universal Life, he served for years as a wedding officiant, marrying dozens of happy Humboldt couples. He also found his calling as a radio deejay while attending HSU. Later he had a show on KHSU he called “No Age” and he took the nom de radio, Disciple of Disorder. That was the start of a side career. Meanwhile, utilizing the City of Arcata’s first time homeowner’s program, Gregg and Xan bought a home in what’s known as Pneumonia Gulch in Sunny Brae and raised a family. He took the girls on numerous adventures exploring what Nila called “unexpended places.” As he liked to say, “Why not?” Gregg was a devoted dad who helped out at Equinox School, Coastal Grove and later NPA (from which both girls graduated). There came a point when Gregg was around 40 when he decided to retire the Disciple of Disorder and he stopped doing radio. The lure was strong however, and he talked the station into giving another show. A new, very freeform show was dubbed “Fogou,” taking its name from caves constructed for unexplained purposes in the British Isles long ago. Why? “You decide,” as Vinny would say. Vinny was a new nom de radio he came up with for the new show, in honor of his late grandfather Vincent. Playing an impossibly eclectic mix of music, Vinny would punctuate it with odd factoids, most drawn from a tattered almanac full of trivia called the “Day-By-Day Trivia Almanac.” While it sounded like classic underground late-night radio, it ran from 2 to 4 p.m.Wednesdays. Somehow, the program proved amazingly popular. Gregg and Xan’s marriage didn’t last forever. They went their ways, splitting amicably. One way or another, Vinny’s girls ended up following in their father’s footsteps. Both have worked as camp councilors at Wavy Gravy’s Camp Winnarainbow. Nila recently received an art degree from Bennington College and found work at a small co-op in Philadelphia. Neroli is attending UC Santa Cruz, where she is on the campus radio station KZSC as Queen Beats. And once again, Gregg’s open heart helped him find love another time. Five years ago he met Kirsten, a vibrant woman who was new in town and looking for a place to stay. It turned out she had experience working in co-ops and she knows wine. Before long, they married. About the time Gregg retired after a quarter century at the Arcata Co-op, she got a job at the store and became their wine buyer. The end came all too quickly. Vinny’s girls and a multitude of friends came together to ease his final days. Friday, July 6, his many friends gathered to say farewell. Gregg’s gone, but never forgotten, forever in our heats. His adventures go on.